GOLDFIELD — Two men are behind bars following the discovery of a missing person found dead at the bottom of an Esmeralda County well last week. Jason Taaffe, 42, and Coleman Ward were arrested on Dec. 21 and charged with first degree murder with a deadly weapon after Charles Kinkel III, 39, was found dead from a gunshot wound by two people collecting firewood near Silver Peak. 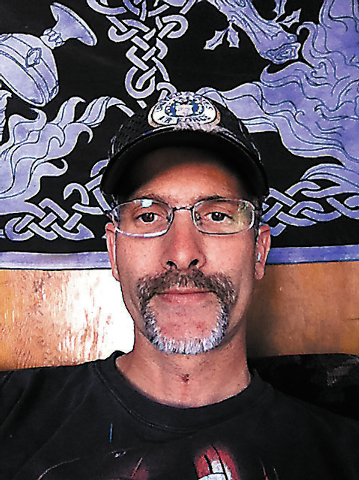 Esmeralda County authorities refused to provide any public information about the case when reached for comment Thursday; the sheriff’s office didn’t even alert the public that Kinkel, listed as a missing person since July 24, was found murdered on Dec. 15. The Pahrump Valley Times learned of the homicide Thursday when a reporter with an Akron, Ohio newspaper, The Beacon Journal, sought confirmation that indeed Kinkel was killed. Kinkel’s mother lives in Ohio. Taaffe, according to a declaration of arrest obtained by the PVT, told a sheriff’s deputy that he orchestrated Kinkel’s murder because he allegedly witnessed the man attempting to molest a 10-year-old girl. According to the police report, Taaffe and Coleman conspired to “take Charles hunting” as revenge for what he’d allegedly tried to do. Before dumping Kinkel’s body in the well, Taaffe told police he took the victim’s wallet and car keys. After returning to Silver Peak, Ward allegedly drove Kinkel’s car to Blair Junction. Taaffe followed and picked up Ward, returning to Silver Peak afterward. Taaffe, according to the arrest report, told police he threw Kinkel’s car keys and wallet into the desert near a construction yard and went home. Police were able to recover a suspected murder weapon at Taaffe’s residence. After writing out a confession, Taaffe was placed under arrest and transferred to Tonopah, where he is being held in lieu of $1 million bail. Police would receive less cooperation from Ward, who refused to acknowledge any participation in the crime. He told deputies that Kinkel was alive the last time he saw him, the night of July 24. Ward is being held in Goldfield. Trayce Kinkel, the victim’s wife, confirmed that her husband knew the suspects. She says he lived with the men and worked with Taaffe at Ledcore Mine. “My husband knew both of these men. My husband lived with both of these men when he moved to Silver Peak,” she said. Charles Kinkel had taken a job with the mine on June 3. He’d just moved from Wells and lived out of his car for a short time before moving in with Taaffe and Ward. Trayce Kinkel called her husband at 5:55 a.m. July 24 to wake him up for work. He never answered. She continued calling, reaching his boss at one point, who told her Charles had not shown up for work. Finally, the distraught wife called police, who found Kinkel’s silver 2010 Toyota Matrix near the junction of U. S. Hwy. 95 and State Route 265 on July 25. The case quickly went nowhere. Trayce Kinkel says she moved to Tonopah to keep looking for her husband. She said she searched all over Silver Peak but says she got a cold reception from locals. “I was not welcome in that town,” she says. She says, however, she’s relieved that her husband was finally found. “I wasn’t sure if he was ever going to be found,” she said. “Now that his remains have been found, one part of it is over, but now another part is about to begin,” she said, referring to the arrests and pending court dates. June Queen, Charles Kinkel’s mother, said she is also relieved there will be closure in her son’s disappearance. She said her son had a hard life to begin with and didn’t deserve to have it extinguished the way it was. She said she adopted Charles Kinkel when he was 18 months old. He was a neglected child taken away from his birth mother. He was a premature baby, too, and had developmental issues from a young age. She said he was a special education student in school but managed to graduate high school nonetheless. He married more than once, fathering five children in all. He got his CDL and became a truck driver, which brought him out west, she said. “He knew he had these weaknesses and he worked hard to correct them,” Queen said. 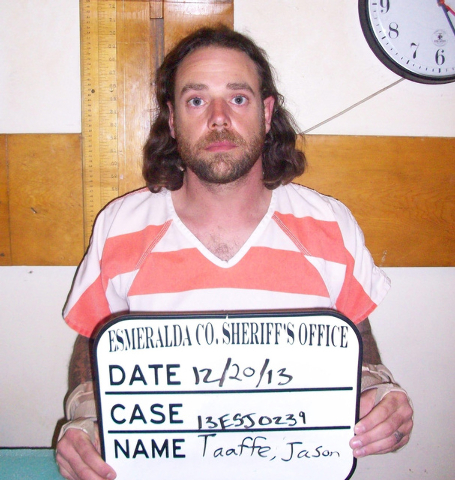 Taaffe and Ward are expected to be arraigned in Goldfield on Tuesday at 11 a.m.